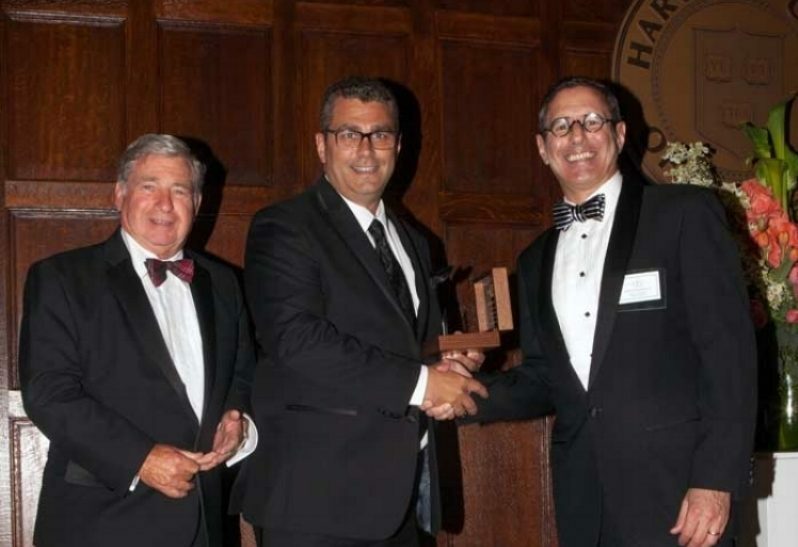 2017 Bulfinch Award for Historic Preservation | John Canning & Co. 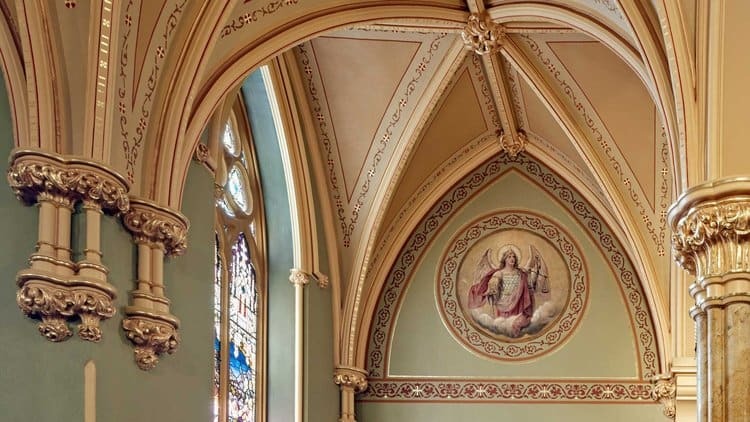 The John Canning Company received the 2017 Institute of Classical Architecture & Art Bulfinch Award for Historic Preservation on April 29 at the Harvard Club, Boston, for their comprehensive restoration of St. Patrick’s Catholic Church. 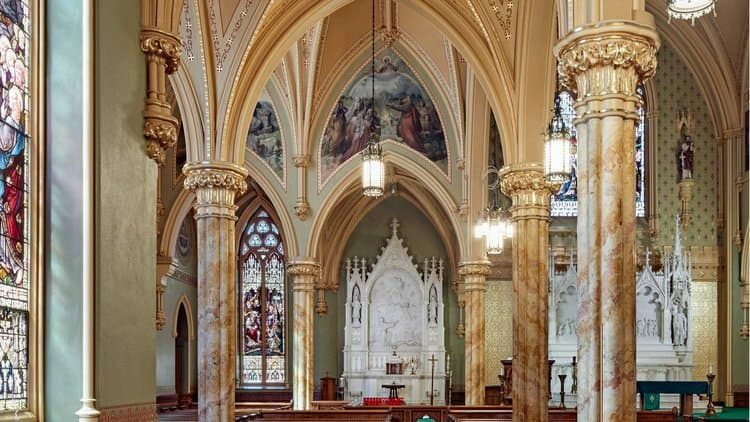 The preservation and conservation of the architecture, art, and decorative finishes at St. Patrick’s, as originally conceived by prolific church architect Patrick Keely, and were priorities for the Lowell parish. Also a priority, was making this historic landmark, built by and for Irish immigrants in 1854, relevant to the diverse immigrant community it now serves. Today, the parish offers Mass in ﬁve languages, with Hispanic and Vietnamese populations in highest attendance. 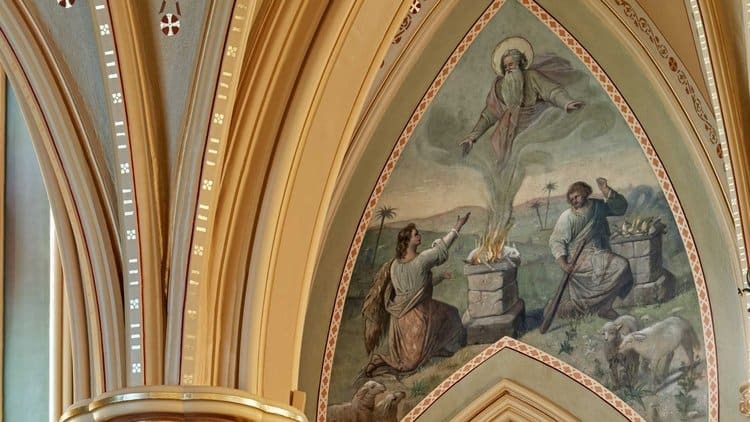 Over the course of one year, the Canning team of conservators, analysts, artists, decorators, designers, and tradesmen uncovered original colors, decorative patterns, and finishes, conserved 24 murals, restored Stations of the Cross, repaired and stabilized plaster, and conserved the scagliola columns. 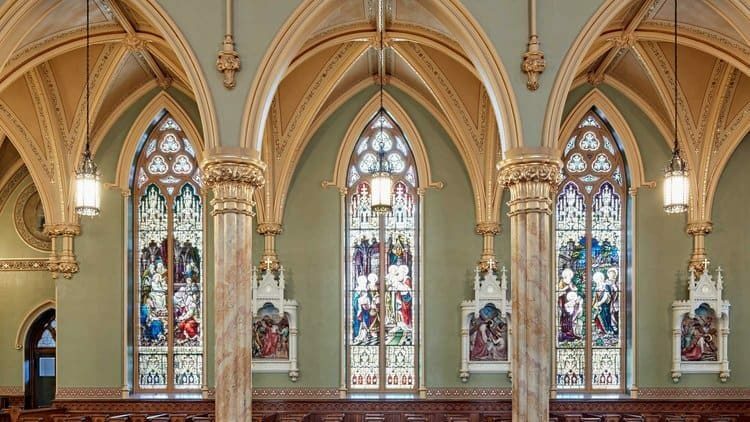 Canning specialists cleaned and polished the fine-art marble sculptures of saints, angels, and the ornate altar, all carved by Joseph Sibbel whose work can also be found in St. Patrick’s Cathedral, New York City. One of the Kinkelin murals depicts Jesus saying goodbye to Mary before his crucifixion. 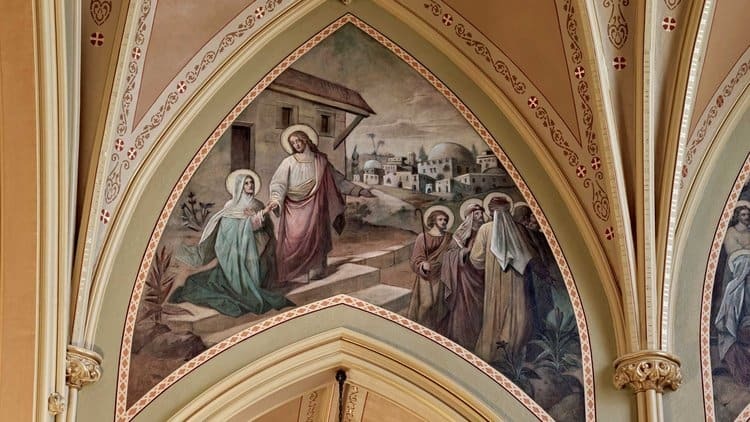 The shared experience of Irish immigrants in the 1800s and today’s immigrants saying goodbye to their mothers was the idea that tied together the three cultural representations of the Virgin Mother. This is the Canning Company’s third award from the ICAA. 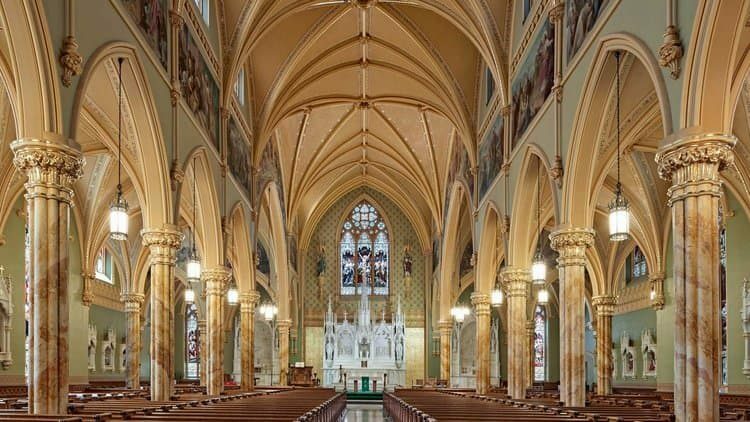 In 2013 they received the Bulfinch Award for their work at St Patrick’s Church in Norwalk, Connecticut, and in 2012 they received the Stanford White Award for Excellence in Classical and New Traditional Design for the Basilica, St. John the Evangelist, in Stamford, Connecticut. In 2004, John Canning was honored with ICAA’s Arthur Ross Award for Artisanship. 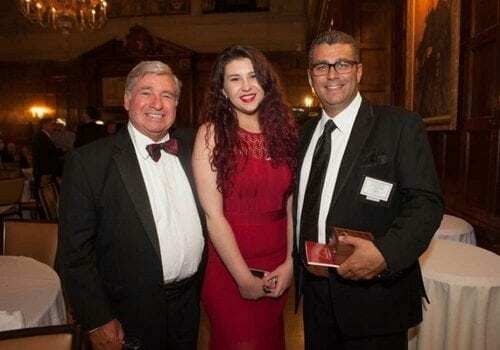 The national award was in recognition of his work in applied decorative arts and his involvement in the restoration of national architectural landmarks.